TAPA Room 210: Beowulf too hard? Don't fear—Sparknotes is here! Beowulf too hard? Don't fear—Sparknotes is here! Some of my British Literature students on Thursday (B Class) were complaining about the difficulty of reading Beowulf, and I agree. The poetic value is fantastic, and there's no substitution for reading the original work. However, if you're looking for a way to make the information a bit more clear, I'll allow you to use Sparknotes' No Fear Beowulf instead of reading the original via the Free Books app. 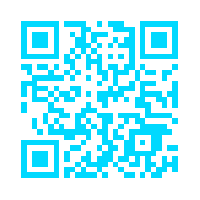 Just point your Safari browser to this link or hit up the following QR code, and you'll magically be transported to infinitely easier-to-comprehend literature.